After spending awhile at my parent’s house depressed, I was on my way back to Florida for a fresh start. There was apprehension and I am sure my parents wondered if this was the smartest thing to do, but that was where I could get my degree the quickest. My mom and I found a beautiful place for me to live. I rented out a room from someone who was an international flight attendant and was gone a lot. I had a good house mate from Canada who I enjoyed spending time with. My family came down and spent Christmas with me that year. I was doing well at school. I started working as a manager of a movie theater. The girl from Canada moved out and another girl moved in. I had a friend come down and visit me. 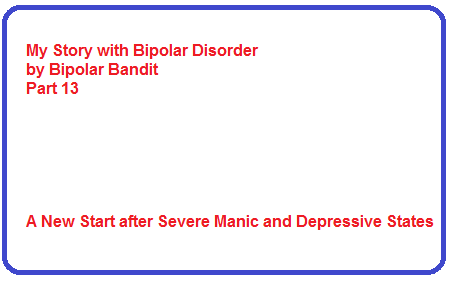 The three of us were on the way to a club when my housemate told us that she had bipolar disorder. I was in shock as I had not known her that long. At that point, it was not something that I shared with others.I did not tell her then,but did eventually. The friend who was visiting did know and actually was the only friend that stuck by me when I struggled when I first was diagnosed. I can’t remember exactly why I moved out of the house, but I might have been kicked out. My memory is very foggy at that point. I did stay friends with that housemate and I think she left when I did. Before I moved out, I had met Erich who I spoke about in Part 8. I found a place to live where I had the floor of a dining room. The one and only night I stayed there I had fleas jumping on me. Thank goodness Erich offered for me to stay at his mom’s house. She was very ill and she wanted someone to take care of her and help clean, etc. The story with Erich is a story on its own. Therefore, Part 13 will talk about after I met Erich and what transpired with that relationship. 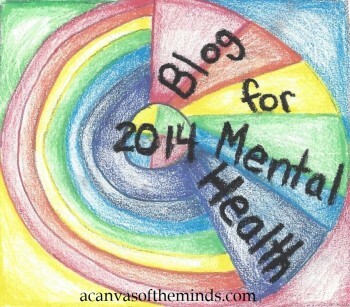 This entry was posted in Uncategorized and tagged bipolar, bipolar disorder, moving. Bookmark the permalink.